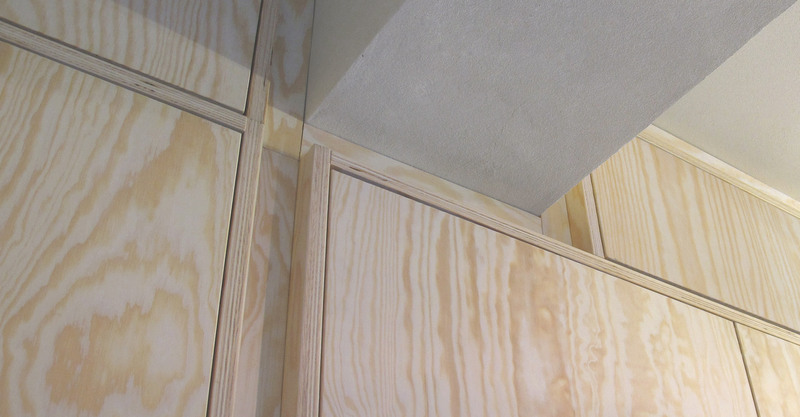 Steven & Jonathan loved the eye-catching plywood wall in the La Fabrika shop. 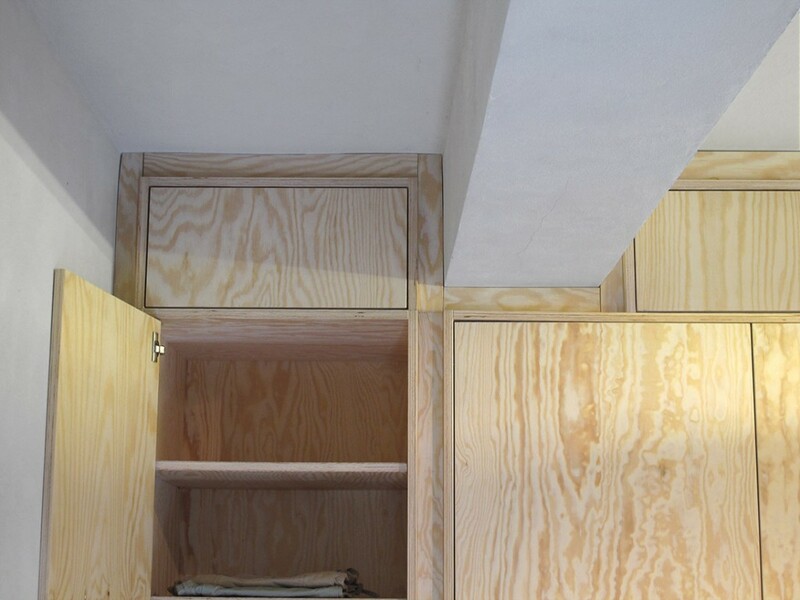 That is why they asked us to design a built-in closet using the same material. 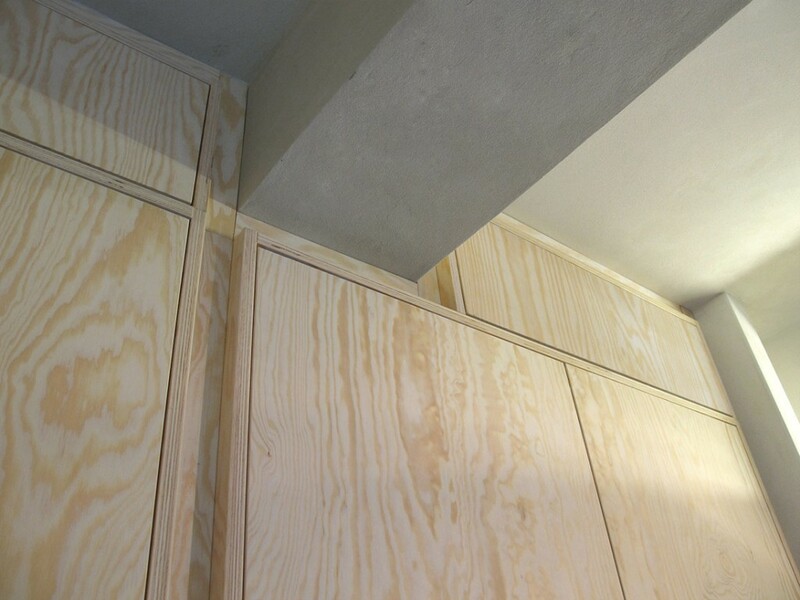 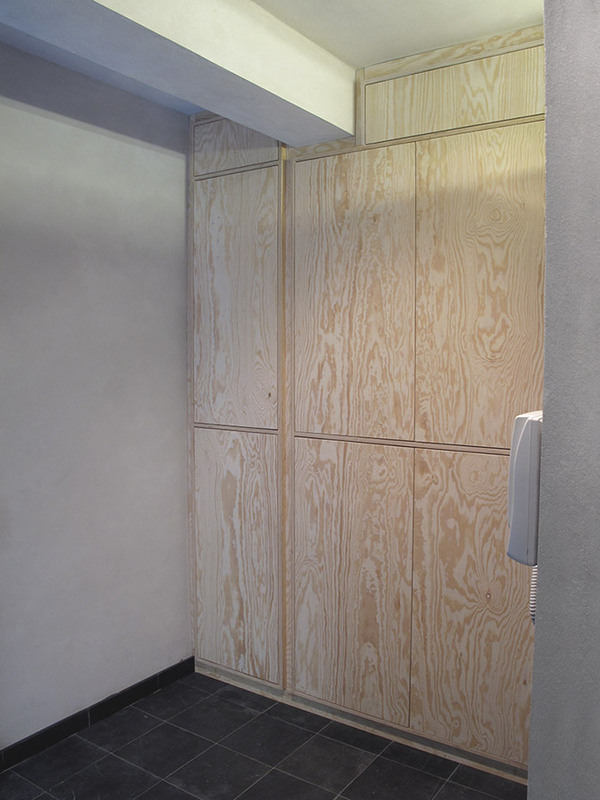 By framing the doors using the plywood edges, the closet was given its character.